May 5, 2016 By Chelsey Leave a Comment This post may contain affiliate links. Read my disclosure policy here. Summer is just around the corner! 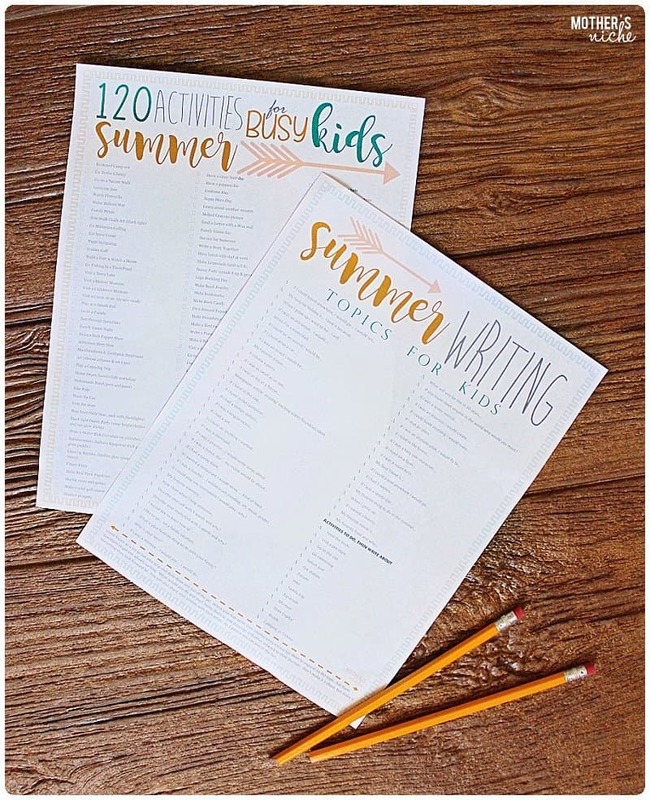 Here are some Fantastic Summer Writing Prompts and 120 Fun Summer Ideas for Busy kids! Plus, Free Printables: Writing prompts and Summer Activity List! What is the best thing you can do together this summer? Make Memories! 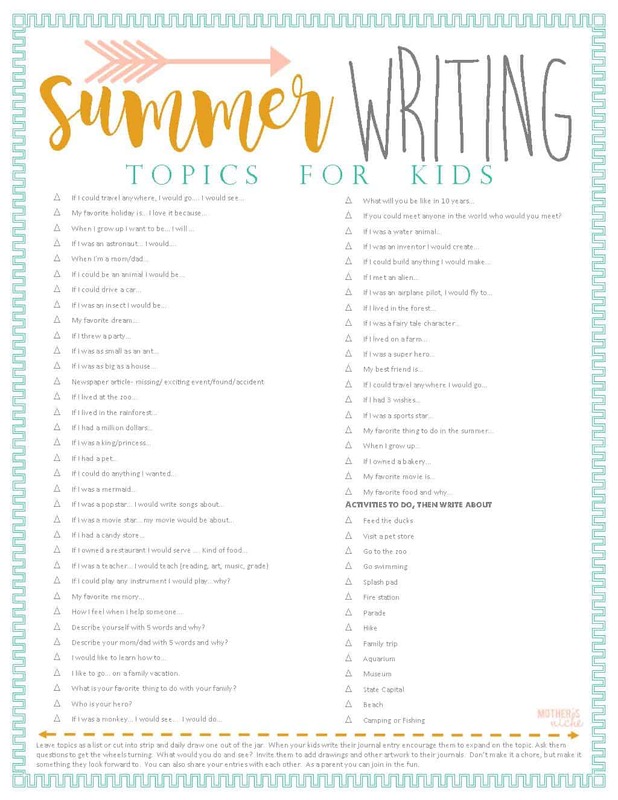 Keep you kids happy and their minds moving with these fabulous summer activities and writing prompts. Ever wonder what to do with your kids over the summer? Never have those “brain fog” moments again! 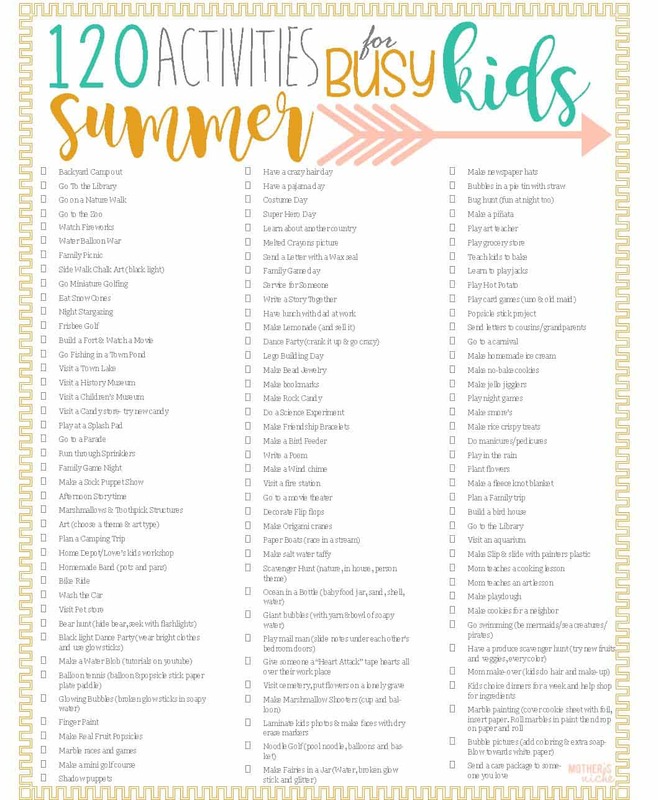 Here is 120 Summer Ideas and Activities for your Busy Kids! No excuses now! Most are simple but fun things to do in the summertime around the house with things you already have! Especially if you made a SUMMER STARTER KIT found HERE! Print it off and stick it on your fridge. Check off the activities as you do them. Or you can cut them into strips and pull out ideas at random, then do the activity together. There is no wrong way to do it. Personally, I prefer to leave it as a list. I post it on the refrigerator and keep it there all summer. I let the kids each pick an activity for the week on Sunday Evening. Then after the kids go down for bed I organize the activities where I think they will fit best during the week. I can move the activities that may need a little preparation back a little further into the week so I can get things ready for them. We check off the activities throughout the summer as we do them. Then on the last week of summer we look over the list of all the fun things we have done together. We share our favorite memories and laugh about funny moments we’ve had. IMPORTANT: Don’t forget to take pictures of all the fun you have! We also like to look through the summer picture file on my computer together. You know that means hundreds of pictures but it always brings a lot of laughs! My kids love it! 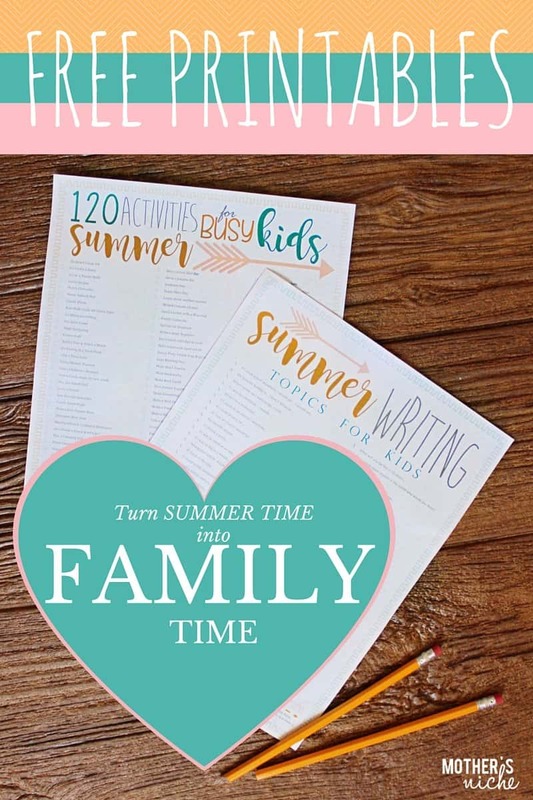 One of my favorite Summer ideas we do every summer is Our Summer Journal Writing! It is so fun the see the creativity that resides in their little minds. Being able to see glimpse into their dreams and imagination is inspiring and priceless. Print off the summer writing prompts provided. Leave topics as a list or cut into strip and daily draw one out of the jar. 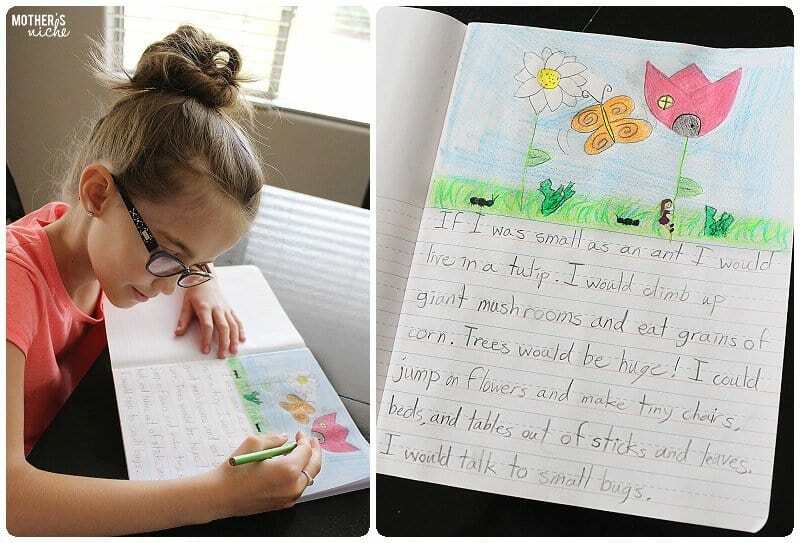 When your kids write their journal entry encourage them to expand on the topic. Ask them questions to get the wheels turning. What would you do and see? Invite them to add drawings and other artwork to their journals. Don’t make it a chore, but something they look forward to. We do our writing first thing in the morning, right after breakfast. Their minds are refreshed and they are excited for the day. Last year the kids wrote on If I was on a Pop Star… and my daughter wrote the sweetest entry about herself and a dream of hers. She wrote, “If I was a Pop Star I would play the guitar and piano and write songs about Butterflies and Unicorns. I would write songs that make people happy not sad. They would be fun dancing songs because I like to dance.” She drew a picture of herself playing a guitar with a unicorn and music notes in the air above her. Her words made my heart happy. She made me so proud. Her goodness shined through her writing. She expressed her appreciation for the simple beauties in life and understood the joy music can bring to others. Make sure after everyone has a chance to write and draw that they each share their writing and art. It is really fun! As a parent you can join in the fun. I do the same as the kids. Explore the possibilities available through imagination. Journal writing is a summer tradition we will keep doing every year. I write the year on the back oft he journal and put them away. I plan to give them back when they are grown up. But we get them out and read them on rainy days. It brightens the day every time! 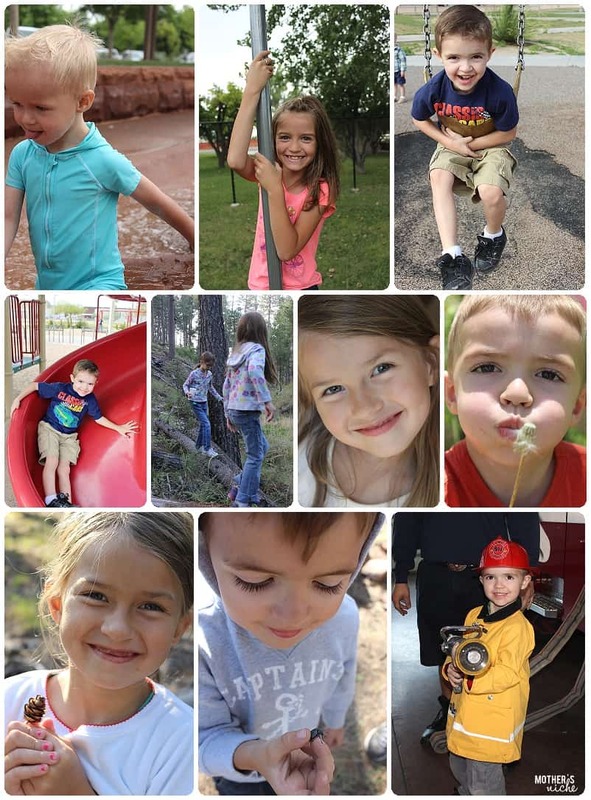 What Fun Summer Ideas do you have for Your Summer with the Kids?